Antique chandelier crystal that has been wire wrapped with silver plate and surrounded by Peridot chips. Comes with an 18″ black silk cord that has a silver plate lobster claw clasp. 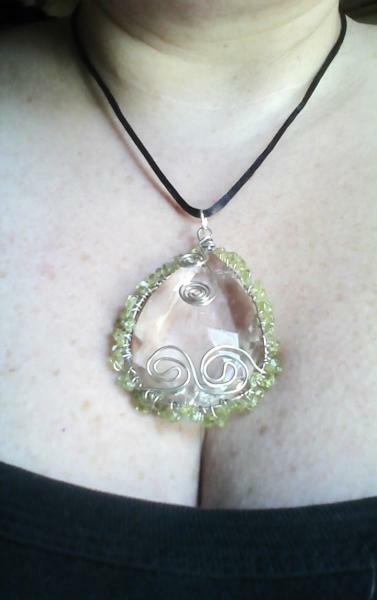 Pendant is heavy and measures 2 1/2″ in length.